Service-minded staff, arranged for later check-in. Payed with Swish. The Wifi was great, the rooms were clean and tidy. Perfect stay for good price. Clean and comfortable. Nice staff. Flexibel staff wich was very nice as we arrived late. the staff guy who greeted me and helped me was really friendly. he was really just cleaning but helped me check in. I asked where the receptionist was and heard "they just walked out for a meeting" but during my stay I never saw anyone else who worked there. Noone ever manned the front desk. He was really friendly but still I would have liked to see more life at the hostel. Verry nice straff that helped a check in several hours early. Great kitchen with everything you needed. Cheaper hostels this clean is hard to find. Only 3 minutes with bus and 25 minutes walk to Örebro Slott (the city). Då ett missförstånd uppstod, angående när och var jag kunde checka in, så erbjöds jag att till samma pris bo på Södra stations vandrarhem, trots att detta skulle ha kostat nästan 100 kr mera. 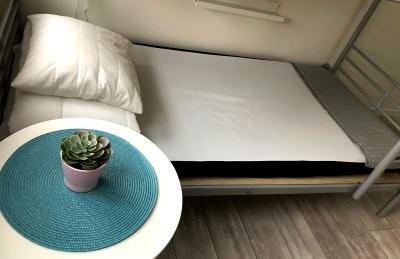 Jag bodde alltså på S stn och min recension gäller för denna plats, trots att bokningen på Booking.com gällde Örebro city hostel. En service utöver det vanliga! Pga av missförstånd hade jag inget rum men fantastisk personal ordnade åt mig på annat ställe. Fresh luft i lägenhrt, luft conditioner, freshness i toalet, kök gräger var mycket bra men städning av kök golv måste gåras bättre än nu. Svårt att peka på något speciellt, det mesta var helt okej. 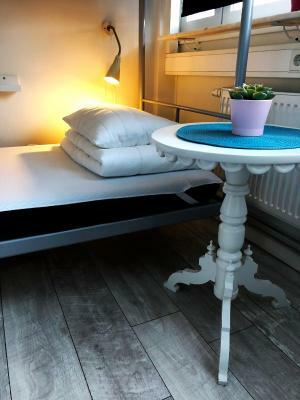 Located a 10-minute walk from central Örebro, this modern hostel features rooms with fresh, bright interiors. It offers free WiFi and Conventum Arena is 1.2 mi away. 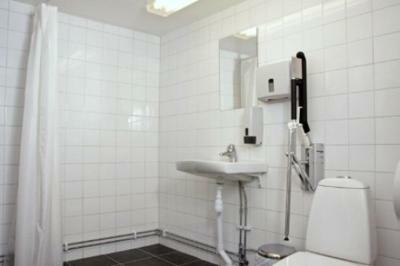 Each simple room at Örebro City Hostel has shared bathroom facilities. 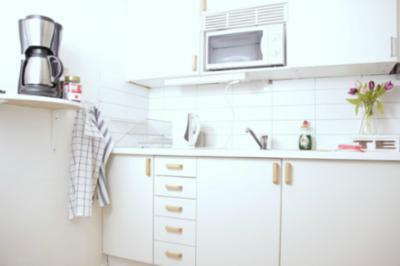 All rooms have a TV and some rooms are equipped with a refrigerator. 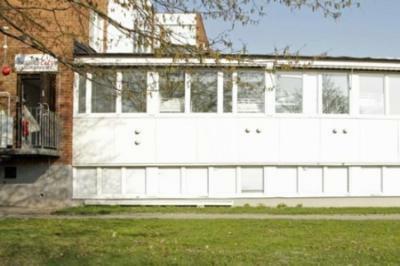 Communal facilities include TV lounges and an up-to-date, fully equipped kitchen. Gustavsvik Golf Club is 10 minutes’ drive away, while Mosjö Golf & Country Club is 9.3 mi from the hostel. Other area activities include mini golf and fishing. 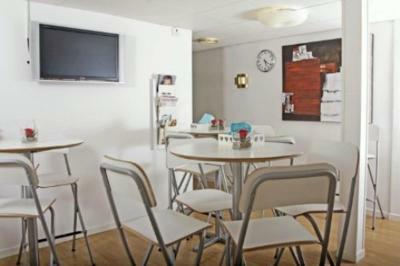 When would you like to stay at Örebro City Hostel? 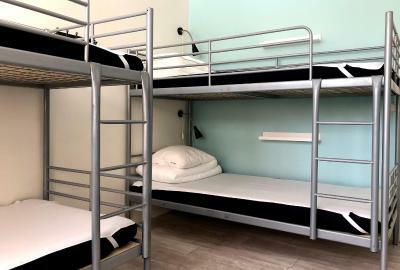 Bright and fresh room that includes shared bathroom facilities. 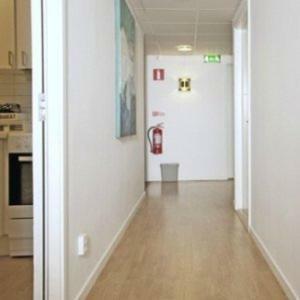 House Rules Örebro City Hostel takes special requests – add in the next step! 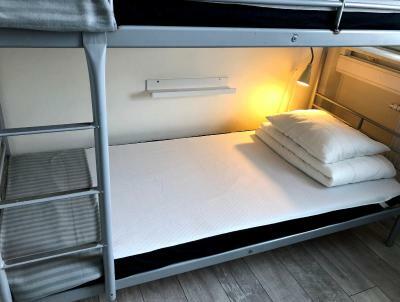 All children or adults are charged 100 % of the room stay per night per person for extra beds. Payment takes place at check-in. 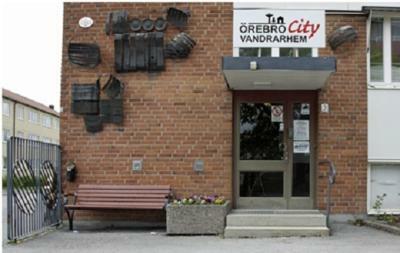 If you expect to arrive outside check-in hours, please inform Örebro City Hostel in advance. There was no electronic payment system available unless you went through Expedia apparently? And if then needing to pay cash, receipts were unavailable, something vital for business trips. I also required to print something but was unable to do so at the hostel. Insects that live in mold running on the floor. 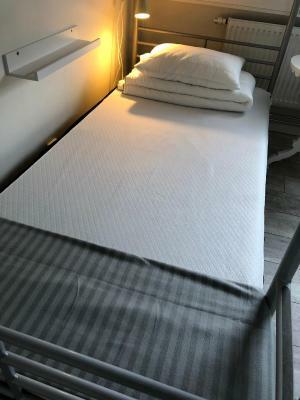 Uncomfortable beds, no staff, thin walls. We had to pay in cash or pay through a Swish account. When we got the cash, no one was there to take it. Phoned the number provided and they were very friendly and tried to find a solution. No bicyckles as advertised.All around was a huge building site for the moment.So Quite dirty (outside)and noisy. (should be done by summer 2018 ) Booking dot com seems to hyp up the customers with false fear taktics that the rooms will be full if You hesitate to book now.I was the only one in my 3 bed room.And plenty of vacancies! Personel and cleanliness were fantastic! very small cooking area and no dining/sitting-room. Kitchens were filthy with old moldy food in fridges. Bathrooms were "ok" but certainly not a place I would spend more than three mins in. Funky smells in them. I could tell that people smoked in them as well. Stayed downstairs. Outside they were digging up the entire road which led to noise and wifi not working. Not the hostels fault though. Overall everything felt cold. White walls. Stiff barchairs by the kitchen. No cozy lounge area. There is no staff on reception must call them to get help and the beds r really noisy cant sleep. 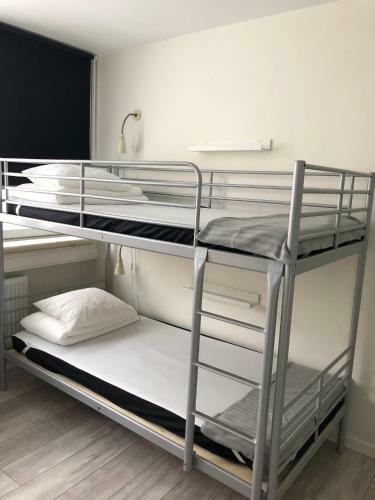 This is not what hou would call a hostel. More of rooms for rent for dosplaced people but not travellers. Awkward! The African guy handed us a bucket with a mop n told us to clean our room when we left. Never seen something like that. Ended up only staying one night instead of four. Glad they were ok with it.